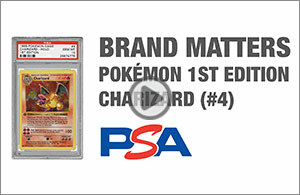 PSA Insider: Vintage and Modern, Animals, Movies and Gaming... the Non-Sports Card World Has It All! • Collecting the 1930 World Wide Gum "Jungle Gum" (R78) Trading Card Set – Building a Vintage "Zoo"
There are few collectors more engrossed in their hobby than dedicated Pokémon enthusiasts. These diehard fans take into account not only the rarity, aesthetics, and condition of their cards, but also the value as they pertain to the game. And this element certainly adds a whole different dimension to their collections. In the latest edition of SMR, we take a detailed look at the 2000 Pokémon Gym Heroes set and its relevance with hobbyists. 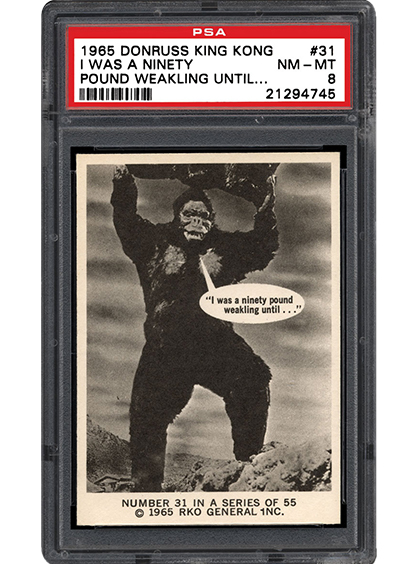 Collecting the 1965 Donruss King Kong Trading Card Set – Kong, the True King of Comedy? What do you get when you cross a giant gorilla with a stand-up comedian? The answer could very well be the 1965 Donruss King Kong set, which takes a slightly irreverent view of the legendary beast. 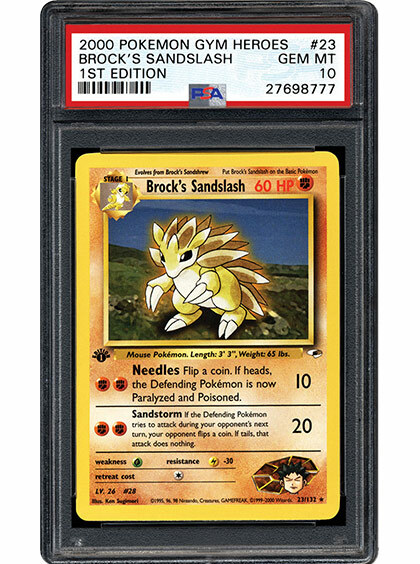 In the following article, SMR shows us why this classic non-sports set is so popular with collectors. 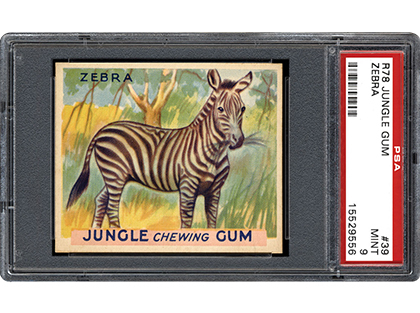 Collecting the 1930 World Wide Gum "Jungle Gum" (R78) Trading Card Set – Building a Vintage "Zoo"
Imagine first learning about African Bush Pigs, Wildabeests, and Hooded Cobras when they showed up in your bubble gum card pack. Yes... there was a time before television and the internet when trading cards could also be considered learning tools. 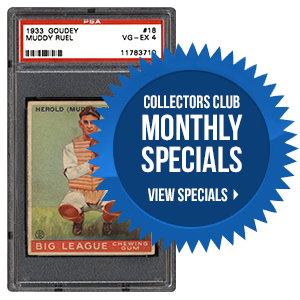 In the next piece, learn more about the 1930 Jungle Gum set and how trading cards could broaden young minds. What is the most important non-sports card series of the last 40 years? We hope that you all had a wonderful Thanksgiving spending quality time with loved ones. PSA just completed the move to our new building and we are finally settled in. The Registry staff will now focus again on the Set Request page and resume adding new sets. As always, we thank you all for your continued patience and support. Should you have any questions, please feel free to contact us at [email protected].